The Functional structure template represents an organization where the employees are divided on functional departments. 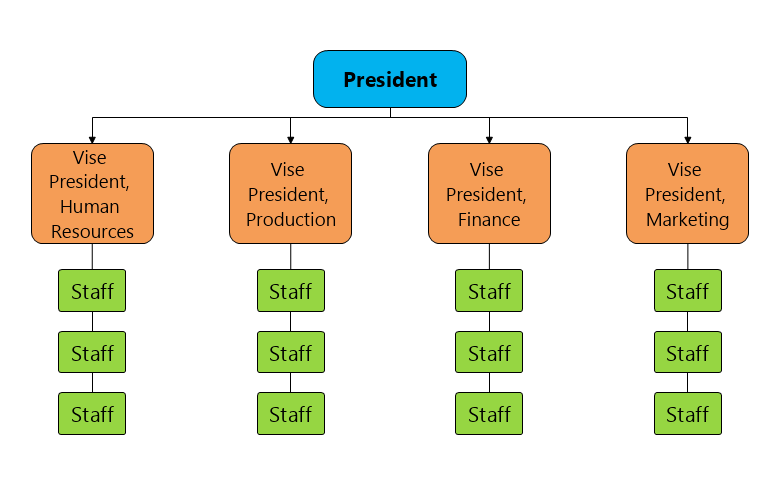 Each department has a vice president who is in charge of coordinating the work tasks, taking decisions, and managing the employees. This kind of structure is suitable for large corporations where this is the only possible way to fulfill the organizational demands.